The Mason Creek Trail leads boaters into the Chassahowitzka National Wildlife Refuge, which is accessible by canoe, kayak or motorboat. Mason Creek winds westward through salt marsh and past mudflats and hardwood hammocks for 5 miles out to the Gulf of Mexico. Fall through spring is best for wildlife viewing, for comfort as well as for spotting Royal Terns and Bald Eagles. Be forewarned, however, that the creek can be extremely shallow during the winter. Wading birds, Ospreys, Clapper Rails and Least Bitterns are common here. Bring your own boat, drinking water, food and sun protection, and be sure to have maps and a compass/GPS unit. The boat ramp has adequate parking but no other facilities. 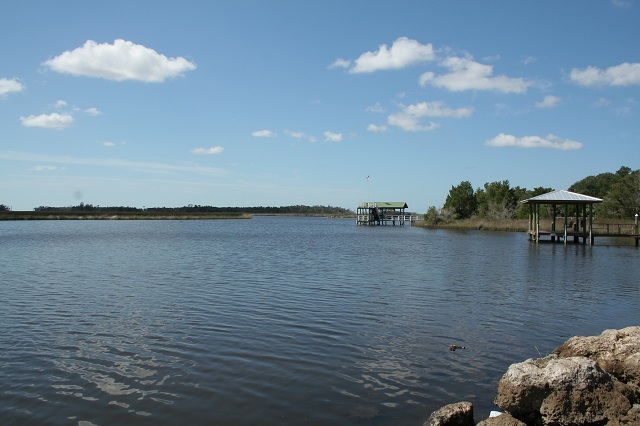 This water trail also connects to the Nature Coast Canoe and Kayak Trail. As always, bring your life jackets and all necessary supplies; take appropriate precautions when boating. No signs or markers are present on this water trail.